Democrats argue that it’s inappropriate for the Tampa Bay Partnership to dip into partisan politics. The organization's president said it would do the same for Democrats if they were in a position to help the area. TAMPA — It's the kind of high-dollar fund-raising event thrown routinely during the campaign season by avowedly partisan organizations and individuals. 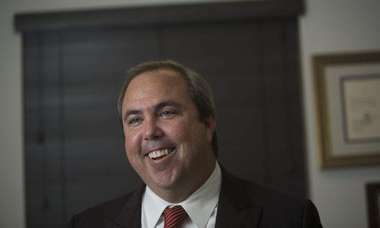 But the Tampa Bay Partnership pitches itself as a group of top business leaders, "working together to create a more unified, competitive and prosperous region." So a kerfuffle has arisen over a $2,500-per-person fundraiser Sept. 26 that the partnership is coordinating to benefit the state Senate campaign committee of the Republican Party of Florida. The partnership held a similar event for the committee in January. Democrats argue that it's inappropriate for the partnership, funded by dues from members including Tampa General Hospital and the University of South Florida, to dip into partisan politics. But Partnership President and Chief Executive Rick Homans denied the organization has become a partisan group. It's boosting Republicans, Homans said, only because the Tampa area stands to gain if the GOP holds onto its state Senate majority. 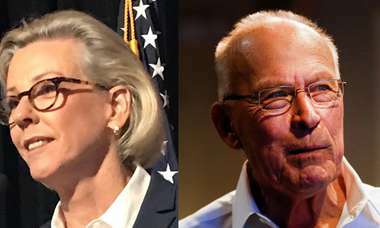 The reason: The next two Senate presidents would hail from the region — incoming President Bill Galvano of Bradenton followed by Wilton Simpson of Trilby. Invitations to the Sept. 26 event were sent recently to members of the partnership and other Tampa business leaders from Rhea Law, an attorney and prominent Republican fundraiser who's chairwoman of the partnership's governing board. "Senator Galvano has asked me to convene leadership from our business community to help Republicans maintain their slim Senate majority," the invitation said. Law said Galvano and Simpson can "advance our region's most important priorities, including the funding of regionally significant transportation infrastructure." One of the invitations went to prominent Tampa Democratic fundraiser Alex Sink, a former bank executive, state chief financial officer and unsuccessful candidate for governor. Sink said charitable groups including the United Way and the Community Foundation have funded partnership projects in the past. "Our community is represented by both Republicans and Democrats," she said. "It seems to me highly inappropriate that they're engaged in party fundraising. I'd say the same thing if they were raising money for Democrats." In an interview, Homans said the partnership would take the same approach, too, if the other political party stood to advance the priorities of the Tampa Bay region. "If the tables were turned," he said, "and it were Democrats in these same positions, we would be doing the same on behalf of the Democratic leadership." 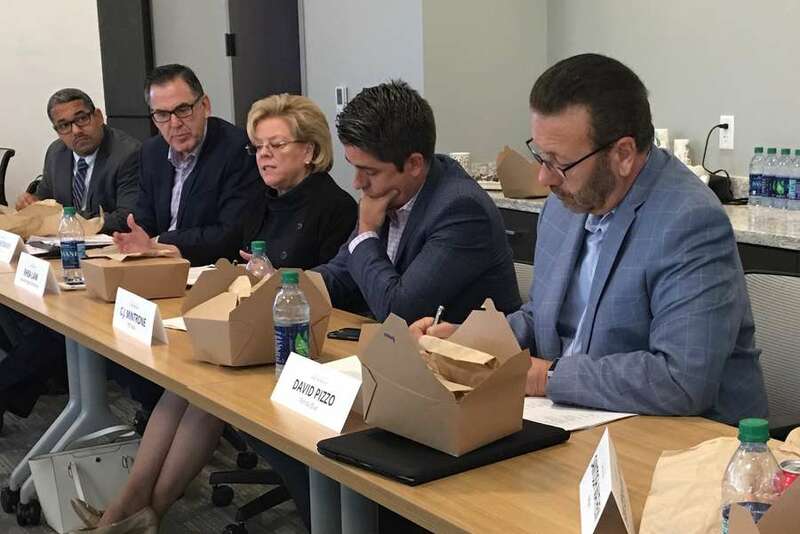 In July, the partnership weighed in on the future of CareerSource Tampa Bay, the jointly run workforce development agencies that ousted their executive director earlier this year. In June, the partnership joined a delegation that visited Houston to learn more about developing local workforce talent. But the partnership changed its mission in 2016 from a focus on economic development to "public policy and advocacy," and eliminated membership and funding from government agencies to allow for possible political advocacy. Today, the organization has about 40 members, mostly private corporations that pay dues of $25,000 a year — or $50,000 for membership on the governing board. Homans said those companies can take tax deductions for their dues but must exempt the portion the organization uses to pay for lobbying. He said the organization has not actually made any contribution to the GOP's state Senate committee. Costs of fundraisers usually are reported as in-kind campaign contributions, but Homans said other companies provided the food and beverages for the January fundraiser and he expects the same in September. The GOP committee has given $302,691 in this election cycle to Sen. Dana Young, R-Tampa, who faces a challenge from Democratic state Rep. Janet Cruz. It has given Sen. Tom Lee, R-Thonotosassa, $50,000, and Sen. Jeff Brandes, R-St. Petersburg, $206,057. As a 501(c)(6) organization under the Internal Revenue Code, the partnership can legally spend some money on political activity. Homans said the political fundraising was discussed "at length" by the governing board beforehand. Members of the board include USF President Judy Genshaft, TGH President John Couris and at least two executives with significant interest in spending by local public agencies — Tampa Bay Rays President Brian Auld, who is working on a financing plan for a new stadium, and Strategic Property Partners leader Jeff Vinik, whose company is spearheading the $3 billion Water Street Tampa project downtown. Couris, Vinik and Auld declined through spokesmen to comment on the partnership's GOP fundraising. Genshaft said through spokesman Adam Freeman that she "has established a track record of working productively with elected officials from all political parties," and won't go to the September event. She added that USF's partnership dues are paid for with privately donated USF Foundation money, not public funds. The incoming Senate Democratic leader, who likely would become Senate president if Democrats were to win a majority, is Sen. Audrey Gibson of Jacksonville. For that to happen, Democrats would have flip five seats during the Nov. 6 general election — a prospect that is seen as unlikely.